The Defense Information Systems Agency has asked industry to submit ideas that can support a business case analysis for a system intended to manage information technology assets. A FedBizOpps notice posted Monday says DISA is considering the development of a potential new requirement for a consolidated internal IT asset management platform the agency could integrate into cloud technology programs. The platform should comply with category and inventory management objectives developed by the Office of Management and Budget and the Defense Department. Functions and features would include life cycle management, software license categorization and logistics workflow automation. 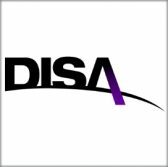 DISA envisions using the system to manage vendor contracts and integrating with similar government-approved systems. The agency will accept responses to the sources sought notice through Oct. 10.